Shroud Of The Avatar Release Date - KABALYERO - PLAY, BLOG & EARN! People who don't like Shroud of the Avatar said the game will never leave Alpha or Early Access. Guess what? They're wrong because Shroud of the Avatar already has a Release Date. 2014 was the year I bought Shroud of the Avatar and since then I have played the game consistently. In 2016, I started playing Shroud of the Avatar for more than 8 hours everyday when it went persistent. Seriously, that is how much I enjoy playing this game. The only two things I really, really don't like about the game are the long loading screens and the high memory or RAM usage. If Portalarium can fix those two then everything else are minor issues for me. Yes, even Chris Spears promise of increasing the drop rate of Gold COTOS is minor compared to long loading screens and high memory usage. Anyway, I have digressed from the topic and that is Shroud of the Avatar's Release Date which is scheduled on March 27, 2018. Now, you don't need to wait for Shroud of the Avatar's Release Date to start playing the game because you can play the game right now. In fact, you can even play the game for FREE. All you have to do it go to Shroud of the Avatar's website, create a free account, download and install the game and start playing for free. There are limits to what you can do as a free player but you can always upgrade your free account by buying the full game to remove all those limits and fully enjoy the game. 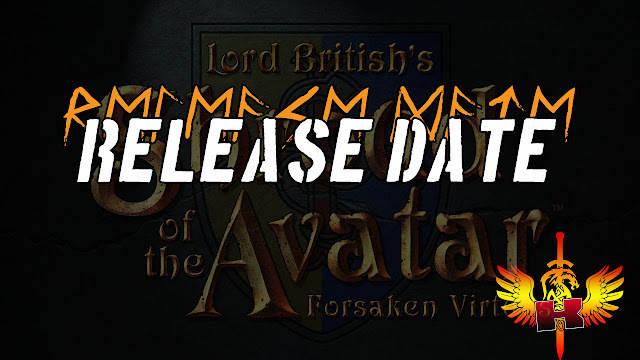 So guys, are you looking forward to Shroud of the Avatar's Release Date? Have you tried Shroud of the Avatar's Free Trial offer? Post your answers, comments, questions or reactions in the comments section below and if you are lagging in Shroud of the Avatar or any online games then why not reduce your game lag by trying out WTFast.